A month long expedition to Tolminski Migovec, Slovenia recently concluded. The trip, which went from July 15th until August 15th, was undertaken by 20 members from the Imperial College Caving Club and the Jamarskaja Sekcija PDT. The goal of the expedition was the continued exploration of Vrtnarija, which as the subject of a 2010 expedition, was extended 2.2 kilometers (1.3 miles) of vertical passage, all below 500 meters (1,640 feet) in depth. 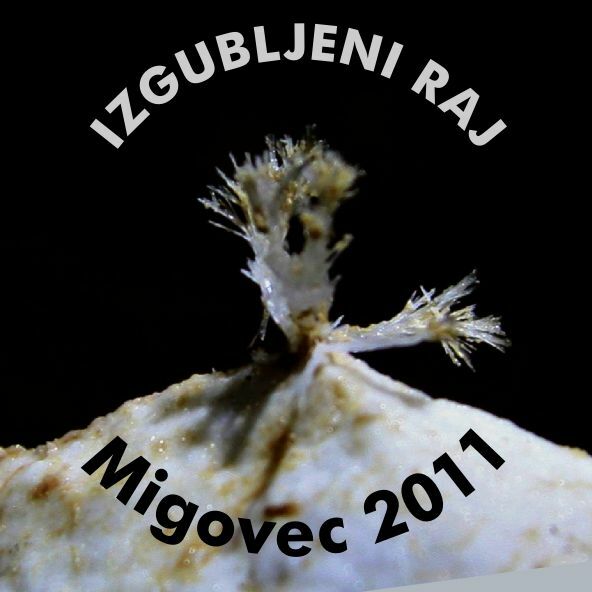 The expedition was dubbed Izgubljeni Raj 2011 (Paradise Lost) after the beautiful crystals found during the 2010 expedition. A four-man camp was set up at -550 meters (-1,804 feet) to carry out deep exploration. Due to much progress, it was soon taking several hours of travel just to get from the camp to the area that was being explored. Some of the wettest weather on Migovec this summer was experienced during the trip, including a 48 hour rainstorm at the beginning of the expedition and a snow storm at the end. There were even two 36 hour periods where the underground camp was cut off from the surface by high water levels in the cave. All in all, it was a successful trip, with 2,229 meters (1.4 miles) of new cave passage discovered, expanding the total length of the cave to 11,025 meters (6.8 miles) and the depth to 888 meters (2,913 feet). As was the case in 2010, all new extensions were made at depths greater than 500 meters (1,640 feet), during multi-day trips based from the underground camp. As a result of the new explorations, Vrtnarija now has the majority of passage, over 8 kilometers (4.9 miles), at depths of greater than 500 meters (1,640 feet). For more information on the expedition, visit the Tolminski Migovec cave exploration website, Izgubljeni Raj 2011, specifically check out the photo gallery and the full report.